Servo Bracket A allows you to attach the standard sized servo to other mechanical structures. 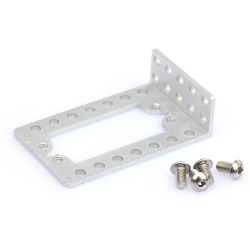 There are four thread holes for mounting your servo and other thru holes for attachment. 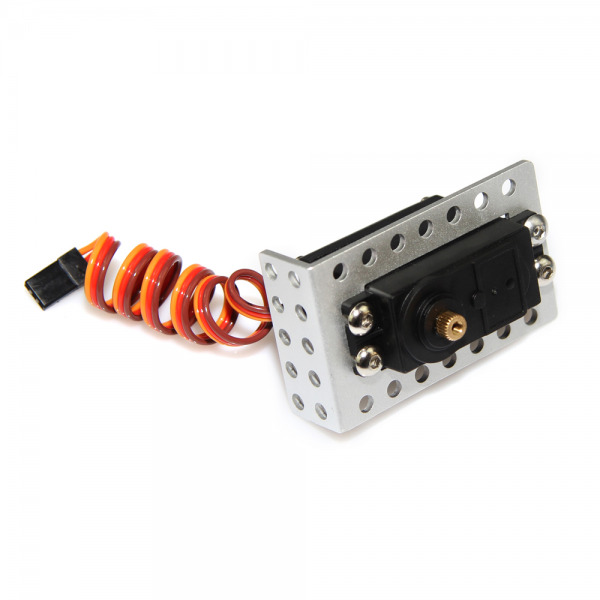 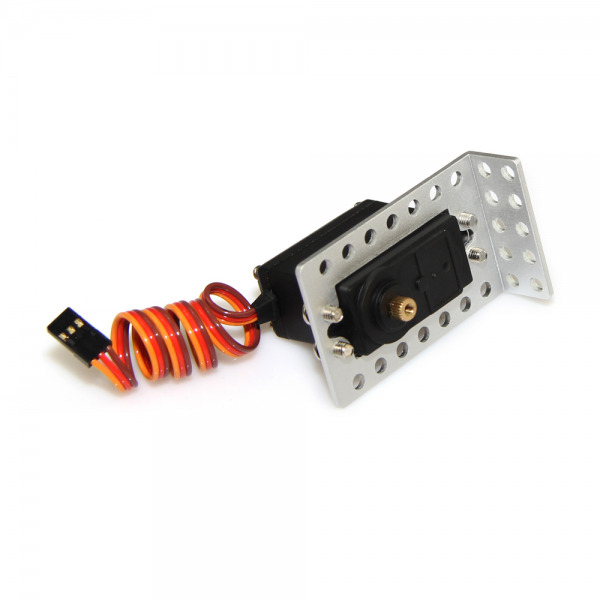 Four Screw M4x8 are included, servo is not included.